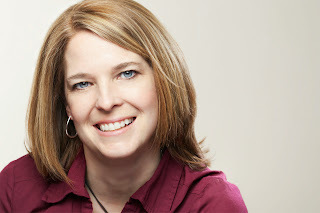 INTERVIEW WITH JENNIFER NIELSEN AUTHOR OF BEHIND ENEMY LINES! Jennifer Nielsen is the author of BEHIND ENEMY LINES, the sixth book in THE INFINITY RING SERIES: (From Scholastic’s press release 12/20/11) History is broken, and a long-feared Cataclysm seems imminent. The capital of the United States is Boston. Lincoln’s face is nowhere to be seen on Mount Rushmore. Everyone’s buzzing about the French royal wedding. And an international group of men and women known as the SQ is more powerful than kings, richer than nations, and more fearsome than armies. 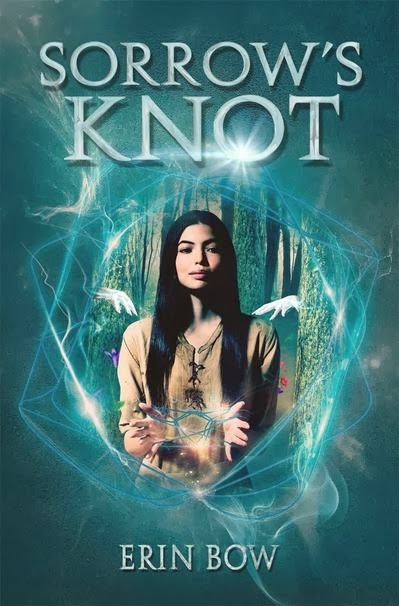 When best friends Dak Smyth and Sera Froste stumble upon the key to time travel – a hand-held device known as the Infinity Ring – they’re swept up in a centuries-long secret war for the fate of mankind. Recruited by the Hystorians, a secret society that dates back to Aristotle, the kids learn that history has gone completely, and disastrously, off-course. Now it’s up to Dak, Sera, and teenage Hystorian-in-training Riq to travel back in time to fix the “Great Breaks”… and to save Dak’s missing parents while they’re at it. Fix the past. Save the future. Dak, Sera, and Riq involve themselves in one of the most bizarre spy missions in history . . . and the outcome of World War II hangs in the balance. And now, it is my great pleasure to introduce fellow inkpot member, and one of my favorite authors, Jennifer Nielsen! I really enjoyed BEHIND ENEMY LINES, Jennifer, and the fascinating history behind it! I had never heard of Operation Mincemeat before. Can you tell us more about it? I think this is one of the great spy stories of all time, possibly because the idea was conceived by one of the greatest spy novelists, Ian Fleming (creator of James Bond), who was then working in Britain’s spy department. Fleming’s idea was to get a dead body, give him a fake background as a military officer, plant fake battle plans on him, and then get him into Germany’s hands. Which is a great idea…for a novel. Once you get into the practicality of actually pulling this off, it becomes much more difficult. Where do you find a body (with no discernable cause of death so that you can insert your own “fake” cause, unknown to the world in case of a background check, and at the right age for an officer)? How do you build the backstory for his life, including the last few days of his fake life? And how to you get him into enemy hands while all the time trying to make it look as if you’re trying to keep that body out of enemy hands? Operation Mincemeat was incredibly risky for the allies. If we succeeded, we had a chance of winning the war, but if we failed, it could have been our last stand. That is a great spy story! When you think about all of the different pieces, as you point out, it’s amazing that it actually worked! THE FALSE PRINCE and THE RUNAWAY KING are two of my favorite books, and I’m sure that your fans will love this book, too, which is also filled with suspense, intrigue, and people who are not always what they seem. Is that what drew you to this particular story in the series? I think I’m drawn to dangerous stories, and characters who are willing to risk everything for the things they believe in. In THE INFINITY RING, these characters are already dealing with a lot – one with missing parents, another with parents who might not be who they seemed, and the third who must come to terms with what this changed history will mean to his own life. But on top of this, in BEHIND ENEMY LINES, they also come to the realization that not succeeding will mean the end of freedom in the modern world. That is one of the things that I love about the INFINITY RING SERIES, the books really makes history come alive. So many times, kids memorize dates and important people and battles, but they don’t really understand how important the past is to the present, and to the future. Have you always been interested in history? I actually minored in history in college (though I confess, it was largely because I had taken so many AP history classes in high school that it only required two more classes to get the minor), and as an adult I enjoy it even more. The better I come to understand history, the more I understand today’s world, and can predict tomorrow’s. As I see the world repeating mistakes of the past, I wish kids were taught more of history, so that we could avoid the pitfalls of our ancestors. I agree entirely. I've noticed that some of my kids teachers are assigning historical fiction as part of the curriculum. It’s a great way to make history – and the lessons it teaches us -- more real. Although this is a great historical time-travel story, my favorite thing about the book is the friendship between Dak, Sera and Riq. Since the series is written by six different amazingly talented authors, was it challenging for you to write a book where the characters were already developed? All of the Infinity Ring authors met together very early in the process and discussed what we would like to see happen for the overall story arc. Part of that included our collective wishes for the relationships between these characters. Dak and Sera were already best friends, and we liked the idea of testing that relationship. As the newcomer, Riq already felt on the outside, and he and Dak were competitive from the start. I love the way they gradually come to trust and rely on each other – even if neither of them will admit it aloud, it’s a great friendship. I think that as fun and adventurous as this plot is, the bottom line for all readers is we want to get to know great characters. That must have been such an interesting process! Dak and Riq do have a great relationship. Even though you all collaborated from the beginning, as I read this book I thought Yes! This is a Jennifer Nielsen book – it’s fast paced, with plenty of twists and turns, and snappy dialogue. Did you find yourself running into ideas by one of the other authors? Because we had all formed the overall character arc together, there wasn't really a problem of running over anyone else’s ideas. Each author coming up the line was very communicative to the later authors about their plans. In fact, one of my favorite parts of this process was getting to work with these other creative, talented writers, and have the privilege of picking up their story threads to continue them in my book. The third book of the Ascendance series, THE SHADOW THRONE, will release in February (I’m so excited for that!). I've also started work on my next series, called THE PRAETOR WAR, which involves an escaped Roman slave, some stolen magic, and a fight to prevent the fall of Ancient Rome. It’s epic in scale and will take readers through all the best parts of that great civilization. I hope that by the time people finish the series, they will feel as if they have stepped back from actually being there. I can’t wait for THE SHADOW THRONE! And THE PRAETOR WAR series sounds fantastic! Ancient Rome is such a fascinating time period – I’m really looking forward to reading it! Speaking of stepping back in time, if you could go back in history and change one thing – what would it be? There are so many great tragedies in history, so many senseless deaths from bad choices, evildoers, or simple mistakes. One of the issues we had to deal with in the Infinity Ring series is, if the kids are holding this time travel device, why don’t they go back and fix these tragedies? Why not stop Hitler as a baby, warn the Titanic before it sets sail, foil the assassinations of Lincoln or Kennedy, or use our knowledge of the past to make things right? But what we decided is that with all its good and bad, history unfolds as it should. Fixing one tragedy may only spawn another, like a butterfly effect. That’s only theory, of course. I would like to think that in any time in which I found myself, I would try to make the world the best place it can be. I would hope that’s what I do now, in my own time. Favorite Book: Too many from which to choose. But the most important book in my history is THE OUTSIDERS by S.E. Hinton. It’s the book that first got me writing. TOTW: Why is there far more speculative fiction in YA series than straight up contemporary situations? Hi, Everyone! It's Martina with a new Topic of the Week. And the topic today is series fiction. I've been doing a lot of thinking about series lately. I have a trilogy launching in 2014, for one thing, but I'm also part of a group of authors who are starting up a new blog devoted to YA series, YA Series Insiders. And of course, I read series. Since I mostly read what I like to write, and visa versa, it means I'm primarily reading speculative fiction series, but I also throw in historicals and series about worlds so far removed from mine that they may as well be speculative fiction. That got me thinking about how few series there really are that don't include huge elements of world-building. 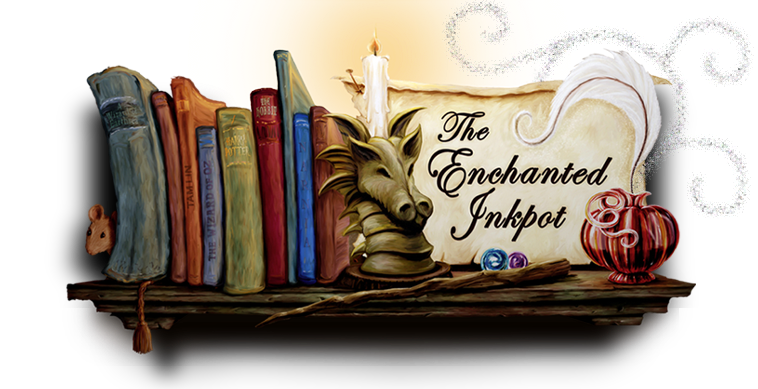 And being that I have a group of experts to draw from, I figured I would ask my fellow YASI authors why that is--and then throw the question open to the speculative fiction authors and readers here on the Enchanted Inkpot. To me, it's the escape that speculative fiction provides. You can fall into a new world, a new society, meet new creatures, and experience the impossible. Who can't resist that. When the genre allows the writer to change the rules of the world, as speculative fiction does, they can allow teens to have more agency, to free them from adult authority to be the heroes of the story. When you leap beyond the ordinary world, you give the reader permission to believe a teen protagonist could have many adventures. As the series continues, you can expand on the fantasy setting to give your protagonist more stories to star in. Which isn't to say you can't have contemporary (or historical) series, because of course you can. I do! But in a realistic setting, teens have a harder time flouting the rules and avoiding adult intervention. So you have to be very creative and careful to justify the teen's ongoing adventures or your audience won't believe them. I think many of us read to escape. We want our characters to have problems, but not necessarily our kinds of problems. Reading about characters struggling with weighty life-or-death issues, but in a world unlike ours, lets us slip away from our own lives for awhile. I think that teen readers these days have so much pressure and so many challenges facing them every day that it is nice to plunge into a world that's completely different from their own. I know *I* I feel like that. And whether a series is straight up fantasy, or dystopian, or paranormal, or historical, or contemporary about super wealthy characters or art thieves or girl spies, what all these series share is a depth of world building that allows readers to become immersed in that world, to fall in love with characters whose way of life is very different, and to feel like they have stepped out of their own worlds for a while to become part of something bigger, greater, more exciting. That can happen in single titles, too, of course. But with a series, anyone who is that invested in the book's world can simply pick up the next book in the series and be back in that magical place again. How wonderful is that? Escapism. I think maybe sometimes, contemporary hits too close to home. It's real in a sense. But when you read speculative fiction, you get to go to other worlds, fantastical places, or even stay in your own world but with cool powers or creatures or something that takes you outside what you normally live. And let's face it, there is always a chance that the world will be overrun by zombies or werewolves or vampires, so maybe speculative fiction is our way of knowing what to do if that happens! I think it’s difficult—not impossible—for a contemporary story to have a unique hook, especially one that will carry through an entire series. In my mind, contemporaries are one slice of life’s loaf, if you get me. They are often “quiet” but powerful books that can be told as a stand-alone. I love both speculative and contemporary fiction equally. But I think the reason there are more successful speculative series than contemporary is because there are simply MORE speculative fiction series. The scope of contemporary story-lines often lend themselves to stand-alone novels, were speculative fiction often has so much going on with the mythology and world building, that there are more story avenues, characters, and larger scale issues to be delved into over the course of several books. Often it takes more than one book just to be able to properly tell the full story when dealing with speculative fiction, and in the meantime, readers become involved in the story-line and characters and eagerly snap up the next installment. There are of course fantastic contemporary series - Gayle Forman, hello! -- but I think speculative fiction lends itself beautifully to series because the worlds and mythologies get more room to expand. 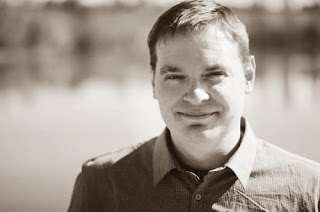 In a series, the author can introduce new elements of their mythology or created society, allowing the reader to learn more in every installment. IMO, Suzanne Collins handled this beautifully in "The Hunger Games." The original book taught us about District 12, the Capitol and the Games themselves. In "Catching Fire," we got a larger look at Panem and its power structure, and finally, in "Mockingjay, we learned what might lie beyond Panem's power. Speculative fiction sometimes needs that room to fully explore a brand new world. Because it's an escape from reality. The chance to leave this world and enter some place new. It allows the imagination free reign. Teens love being able to read about their favorite characters beyond the pages of a single book. How often do we wish for more beyond The End? And how often do these speculative books feed a teens (or our!) need to vicariously *become* Princess of the Vampires or Lord of the Zombies? When it come to speculative vs contemporary, YAs want escape from the real world and, with no offense to contemporary literature, they get more of an escape in a speculative world. They want to be able to visualize and pretend that they can be part of a newer, bigger world. They want the possibility of their childhood fairytales coming to life. They want the possibility of a romance that no one else could possibly have. One that is unique and special and fantastical. That’s the main reason I think Twilight was such a big seller; because Bella had a dangerous relationship with a vampire, and readers wanted to experience that themselves. Wow, good question! I, for one, love the escapism that comes through speculative fiction, and I've never felt that same result from contemporary (not that contemporary isn't good, it just provides a different type of release). I think that's why many other people turn to speculative more frequently too -- to get a break from this oft-intense world in a completely unique way. What kinds of series do you like, and why do you think the number of realistic stories made into series is so relatively small? Do you always finish a series if you liked the first book? Or do you find yourself moving on before the next book is published? From the Goodreads summary: A remarkable adventure by award-winning author Matthew J. Kirby brings a fantastical American West filled with secrets and spies and terrifying creatures to vivid life. In this extraordinary adventure story, Billy Bartram, his father, and a secret society of philosophers and scientists venture into the American wilderness in search of the lost people of the Welsh Prince Madoc, seeking aid in the coming war against the French. Traveling in a flying airship, the members of the expedition find their lives frequently endangered in the untamed American West by terrifying creatures, a party of French soldiers hot on their trail, and the constant threat of traitors and spies. Billy will face hazards greater than he can ever imagine as, together with his father, he gets caught up in the fight for the biggest prize of all: America. Ha! In that case, I’ll forgo the “new frontiers” metaphor I was going to use and simply say that I tend to have a wandering attention span when it comes to my books. All my stories thus far have been very different from one another in terms of setting. 19th century America, ancient Norway, Golden Age Baghdad. 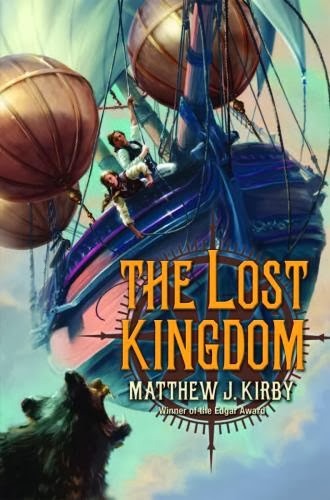 THE LOST KINGDOM took me to a fantastical Colonial America, which was a tremendous amount of fun. But whether I’m writing about an orphaned busker, a Viking princess, or a colonial botanist, I believe people have a lot more in common than differences. Deep down, we all have the same loves, fears, and joys. If I’m trying to pin down a commonality in all my stories, it would be the fact that I love people, and I love writing people, and I hope that comes through in my books. myth (or fact?) of the Welsh Prince Madoc. Can you tell us a little about him, and why his story fascinates you? Do you think it’s true? 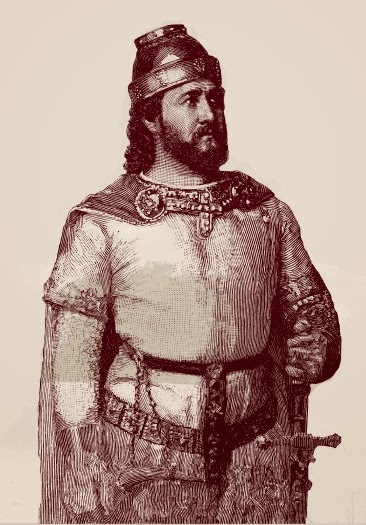 According to the legend, Madoc was a 12th century Welsh prince who sought to escape a war fought among his siblings. He sailed to the Americas, where he founded a colony. The legend acquired the most fame during the Elizabethan era, but colonial Americans believed it. Stories of Welsh-speaking Native Americans prompted the governor of Virginia to offer backwoods traders a reward for proof of their existence from the frontier. Thomas Jefferson asked Lewis and Clark to make contact with them in their trek across the continent. We know the whole story was likely cooked up as a piece of propaganda to promote England’s prior claim to the Americas, but it took on a life of its own. I think that’s what fascinated me. Something about the story captivated colonial Americans. I take on the question of why in the book. You released a second book on the same day – the fifth book in the INFINITY RING series, CAVE OF WONDERS, which is an awesome book (shameless plug here: once you’ve read this and loved it, check out Book 6: BEHIND ENEMY LINES. The author tells me it’s terrific! ;-) ) What can you tell us about this? Working on the INFINITY RING series has been a ton of fun, hasn’t it? I love history now, but that wasn’t always the case. When I was younger, “history” meant names and dates, mere cold facts. As I grew older, I realized that history is much more than that. It’s the story we tell about ourselves. It’s how we make sense of who we are and how we got here. 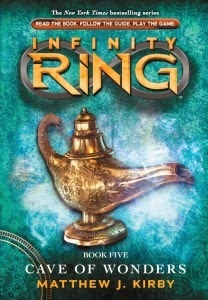 The premise of the INFINITY RING series explores this in a way that brings key points in history alive. Readers see how our world might be changed if events had happened differently. Book five takes place at the end of Baghdad’s Golden Age, on the eve of its destruction by Genghis Khan’s grandson. 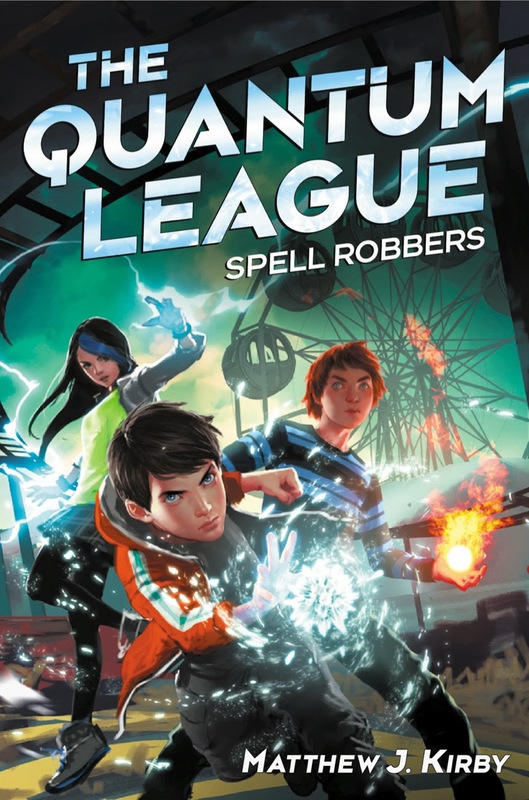 In a few months, on January 28th, I’ll be kicking off a new series called THE QUANTUM LEAGUE. It’s a magical crime saga, and the first book, SPELL ROBBERS, is a pretty classic heist novel. Think Ocean’s Eleven with magic. Fast-paced, with lots of twists and turns and double-crosses. Once again, it’s a real departure from my previous projects, but I love taking on ideas that are new and different. Must-see place before you die? Man, I love to travel. 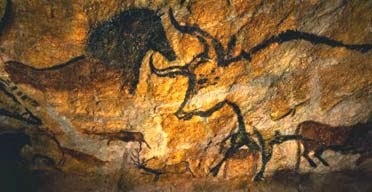 It would be impossible to pick just one place, but I’ll say the Lascaux Caves. To stand there and connect with history that deep? I can only imagine how profound that would be. The last movie you saw and loved? You can find Matthew online here or read more about THE LOST KINGDOM here. This one is definitely worth checking out! 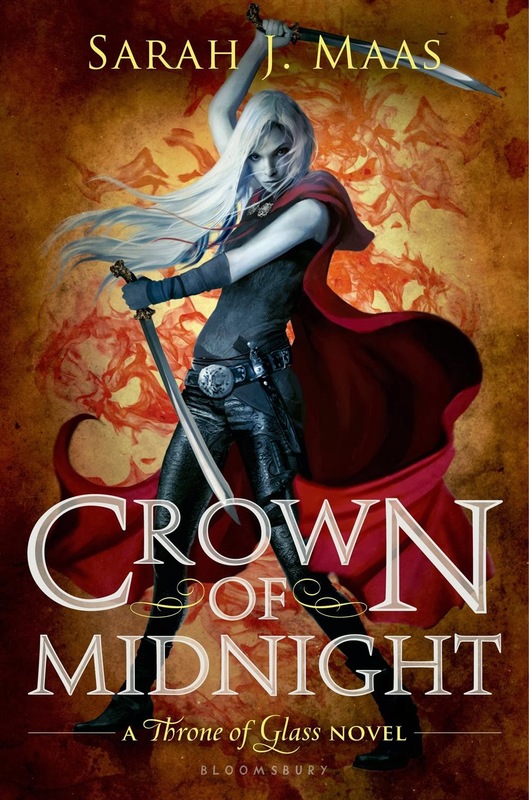 Fantasy covers for a young-adult audience tend to go with the flow—specifically, flowing dresses and hair. This year’s gorgeous fall covers have some of that—okay, a lot of it—but most of those we collected go off in various cool directions. LOTS of cool directions. Early on, we despaired of finding any common themes at all. But then we looked closer and noticed . . . The Bare Shoulder. 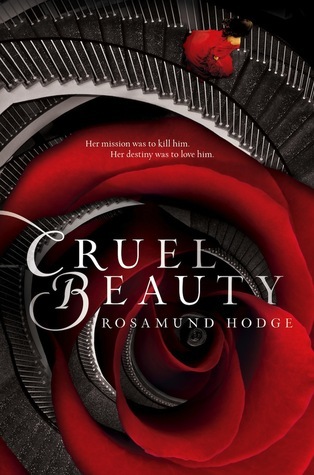 These stunning covers are from books with pub dates between July and December 2013. We defined “young adult” as written for teens 12 and older. The covers start after the "read more" jump. As always, if we missed one you wish we’d caught, please link to it in the comments. And—as always—we want to know your favorites! Greetings Inkies! We have some fantastic shamelessness to share with you today! And next on our shameless list, Vicky Smith, children’s and teen’s editor at Kirkus Reviews, wrote a blog post about Ellen Booraem who she called “One of the Best Kids’ Writers You’ve Never Heard Of.” She praised TEXTING THE UNDERWORLD and Ellen’s two earlier books for “funny, heartfelt examinations of life’s Big Questions.” All of Ellen’s books have gotten starred reviews from Kirkus. And may we say that we at the Inkpot wholeheartedly agree with Ms. Smith! 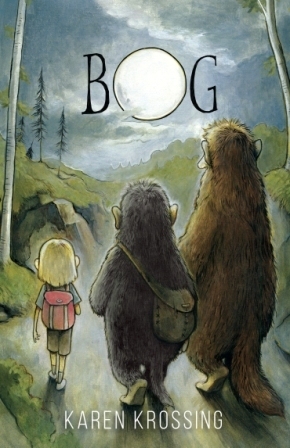 Next Saturday, at the annual conference of the American Association of School Librarians in Hartford, CT, Ellen will join other middle-grade fantasy writers on a panel called “Head in the Clouds, Feet on the Ground: The Role of Fantasy in the Real World.” If you are like me, you are probably wishing you could be there also! So that's it for the shamelessness this time. Congratulations to Jennifer and Ellen B!! 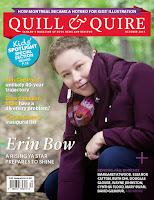 I am thrilled to be interviewing Erin Bow, whose second book, SORROW'S KNOT (isn't that an awesome title? ), was released last week! Your first book, Plain Kate, was Russian-based fantasy. Your second, Sorrow's Knot, seems (correct me if I'm wrong!) inspired by at least one Native American culture. How do you decide where to go for your inspiration? What comes first, the research or the story? There's a story behind the setting of Sorrow's Knot. I met the heroine, Otter, long before I knew much about where she lived. I knew she lived in a whispery, haunted forest, and that seemed good enough. I put that forest in the middle of what Diana Wynn Jones called "Fantasyland." (see: https://www.goodreads.com/work/quotes/1044747-the-tough-guide-to-fantasyland-the-essential-guide-to-fantasy-travel) For a long while Otter and her friends wandered around Fantasyland Forest, picking up horses and swords, but the story wouldn't quite come together. Then I visited the Black Hills in South Dakota. The Hills -- actually they are small mountains -- are very strange. The rise up out of the prairie, stoney and literally black, because of the black pine trees that cover them. Inside the forest there, the light is different, and the air is different. It's a strange, numinous place, and holy to nearly everyone who's lived in sight of it. Knowing it was holy it was with some trepidation that I set the story there. But it felt, that day, as if I'd walked into Otter's world. ly women) the power to bind the dead in knots, you don't end up with an historically accurate anything. But I did try hard not to default to the European, the urban, or the modern. I tried hard, in other words, to get inside her world and let the story take root there and grow. I do like research -- part of what I really like about writing books is that you get to dig deep into stuff. I'm the kind of person who goes into a bookstore and sees a gorgeously illustrated 800 page book on things to do with ropes on sailing ships and am just THRILLED that someone knows that much about knots and lashings! And this, despite getting seasick in bathtubs. So writing is, in one way, just a channel for me being really geeky. On the other hand, every time I write an historical, I swear I will never write another historical. Ugh, it's ENDLESS. I have been back, once. My extended family farms in South Dakota, so the Black Hills are not too far out of the way. But most of what I've done has been from photos and books, plus some locals and experts who answered questions and gave me assorted lessons. The acknowledgements list in this book is long. Also -- you need to go to the hills! I didn't even tell you about the buffalo herds! Or the caves! You say you "stopped" to get into the research. How do you know when you've done enough research and you're ready to get back into the story? It's a paradox, isn't it -- it's hard to know what to research before you write, but hard to know what to write until you do the research. It's tricky, too, because you want to write too early (because writing is awesome and research is hard) and also want to use research as means of procrastination (because research is awesome and writing is hard). For me it's always a dynamic balance, nothing quite as clean as stop and start. There are periods, especially early on, where I do a lot of research and write while knowing that most of the writing may need to go out the window. There are periods later when I mostly write and leave the research questions on little notecards so that I don't break my own flow. And at any point that balance may shift, if only briefly. The real trick for me is to do enough research that the world becomes natural and real, and the story flows from inside the world. For instance, in my current work-in-progress my characters are on an epic cross-continent horseback journey. This is a problem for me because when I started the story I'd never been on a horse. (I have since taken a couple of lessons, and think I really nailed the bit where my protagonist rides for the first time, is awkward and terrified, and later very sore.) I knew I'd done enough horse-ish research when the horses began to suggest stories. I stopped moving them around the board and they started to move the novel on their own. Otter's world is more complicated than that, because the research was so multifaceted, but at a certain point there was the same kind of shift. Perhaps not entirely relevant, but hey, it's my interview. 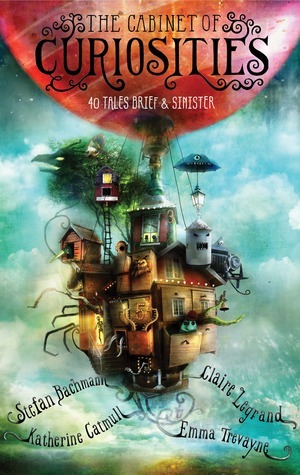 So: since you mentioned The Tough Guide to Fantasyland - what's your favorite Diana Wynne Jones book? So could I, so I will resist the temptation to... oh, okay. 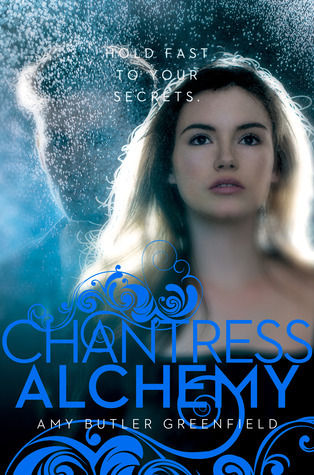 The Chrestomanci series first, Howl's Moving Castle second, and then... right, RESISTING NOW. 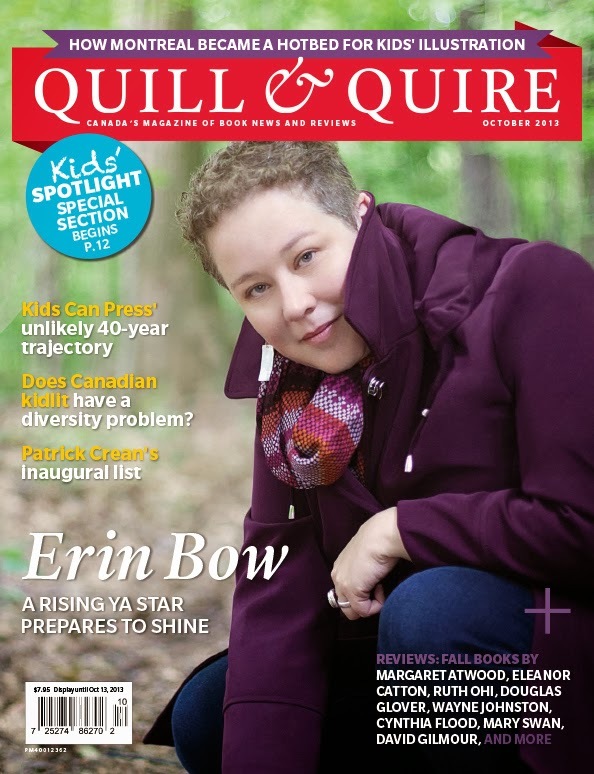 To find out more about Erin and her fabulous book, you can check her out at http://www.erinbow.com/.